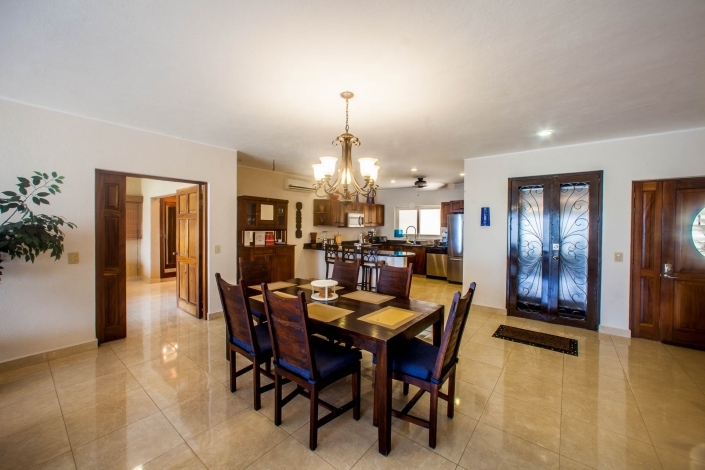 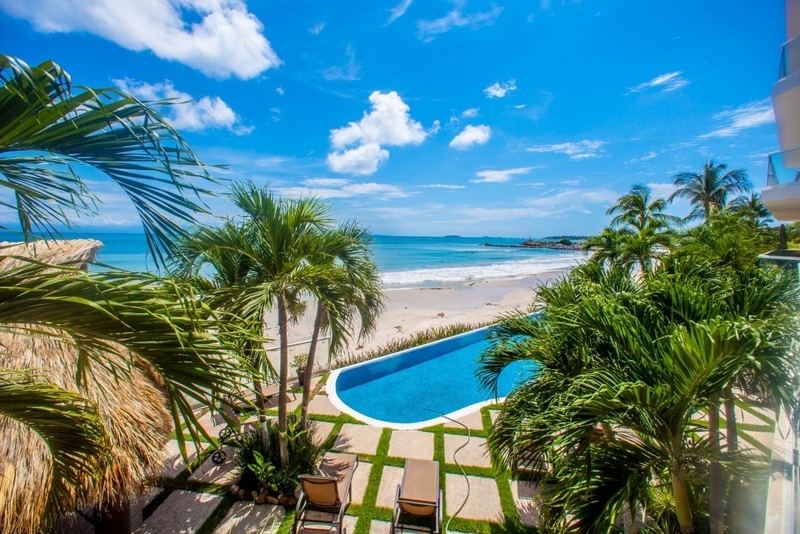 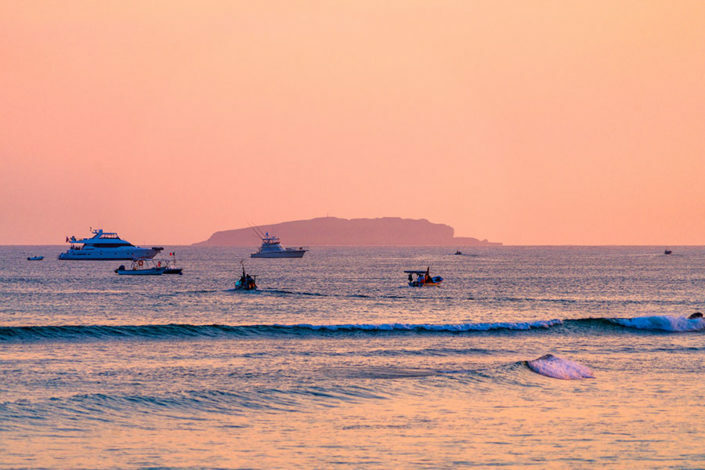 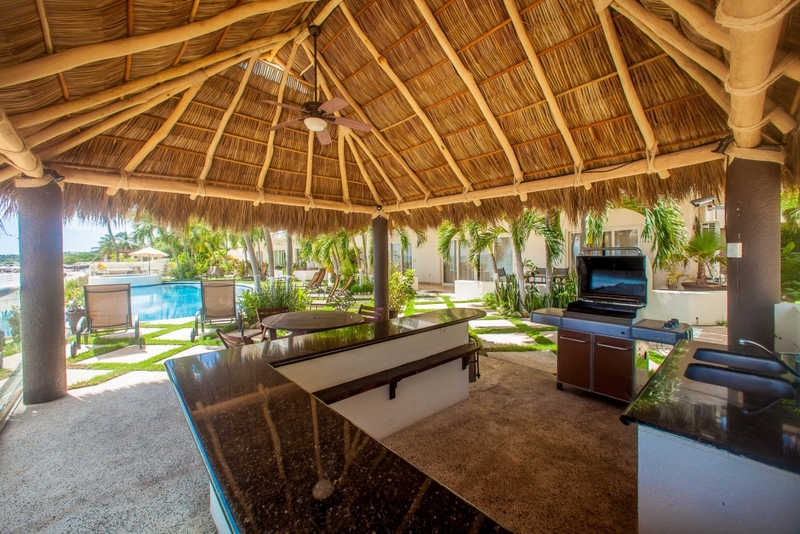 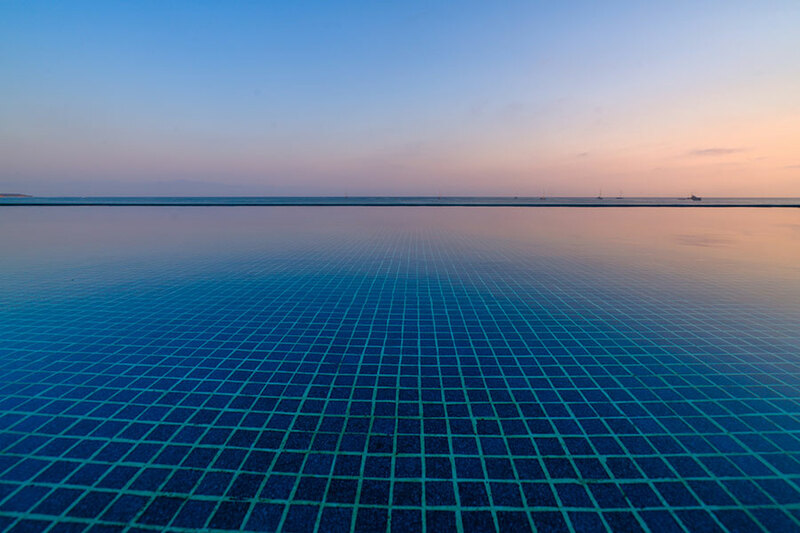 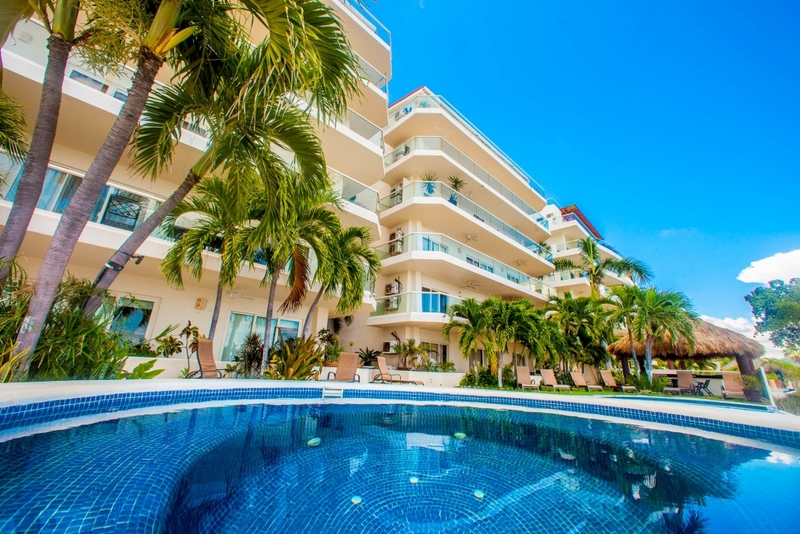 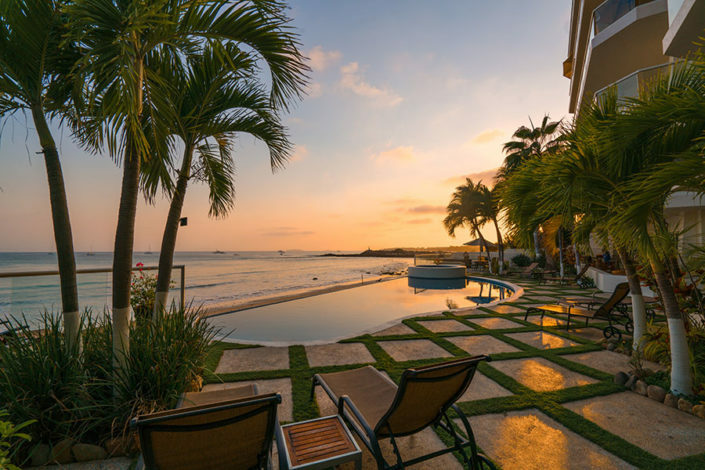 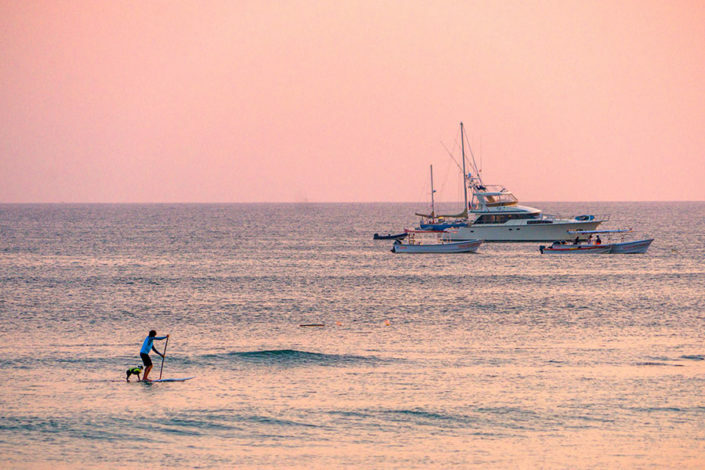 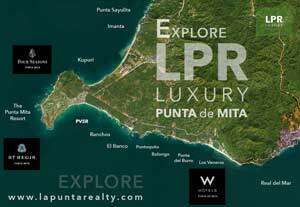 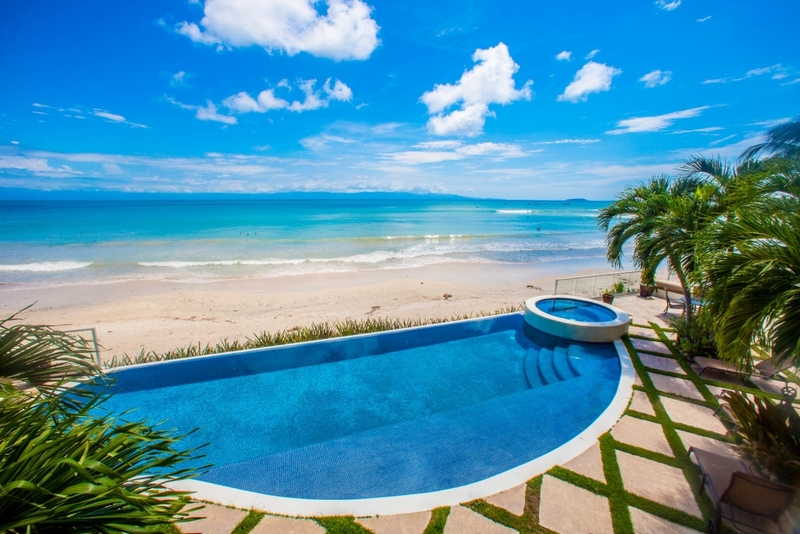 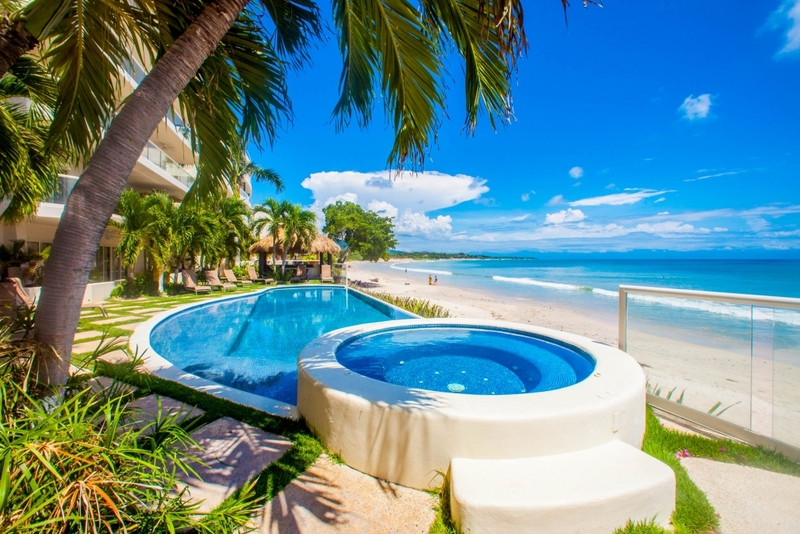 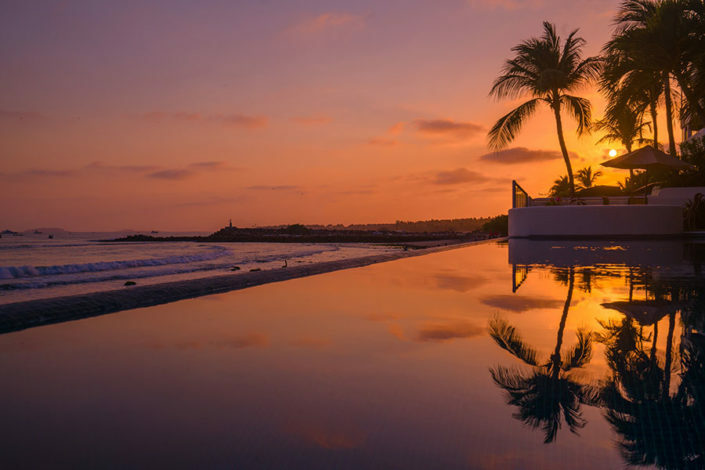 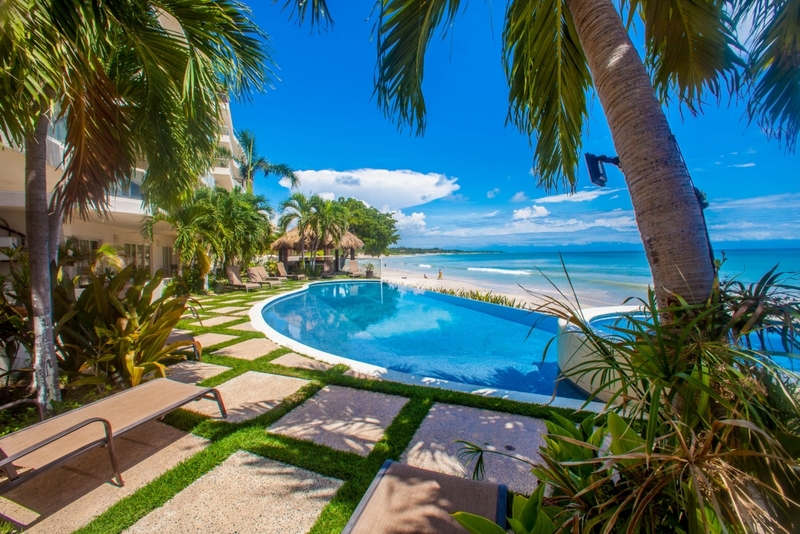 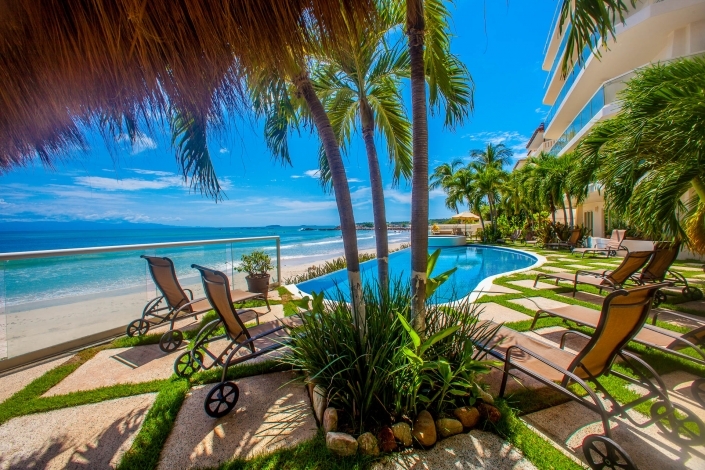 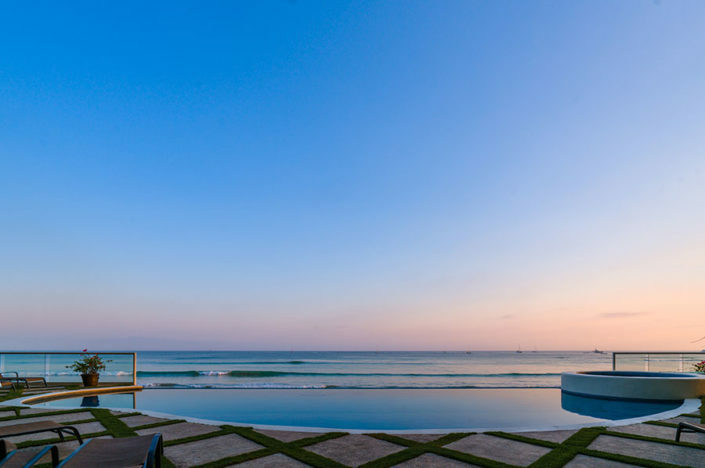 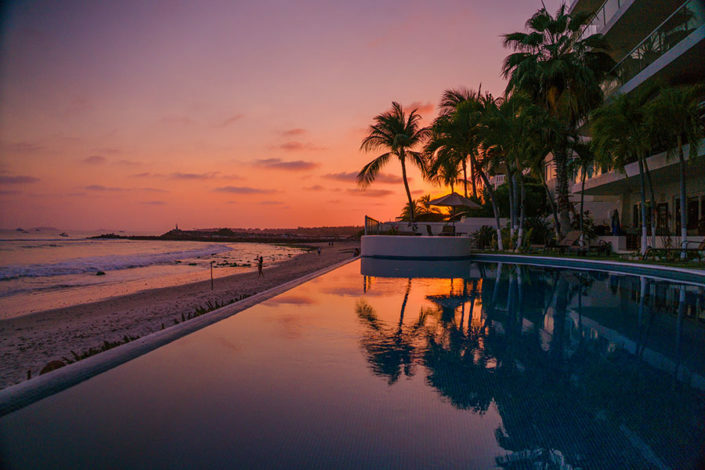 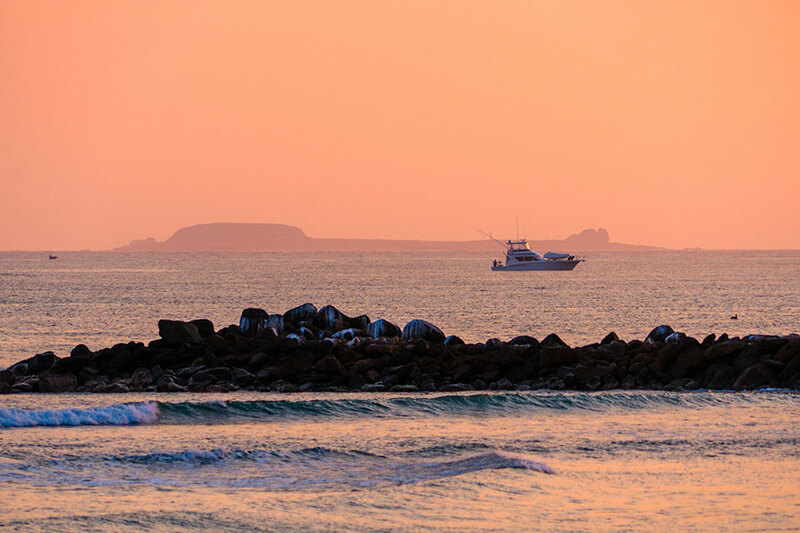 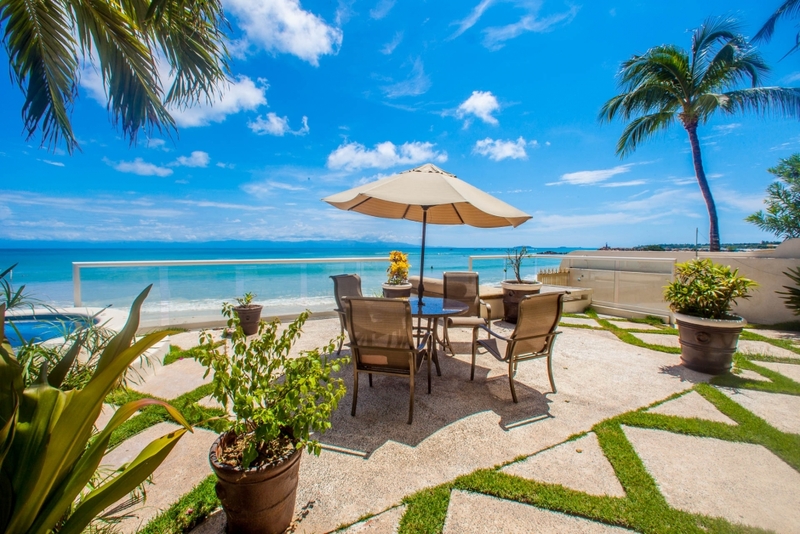 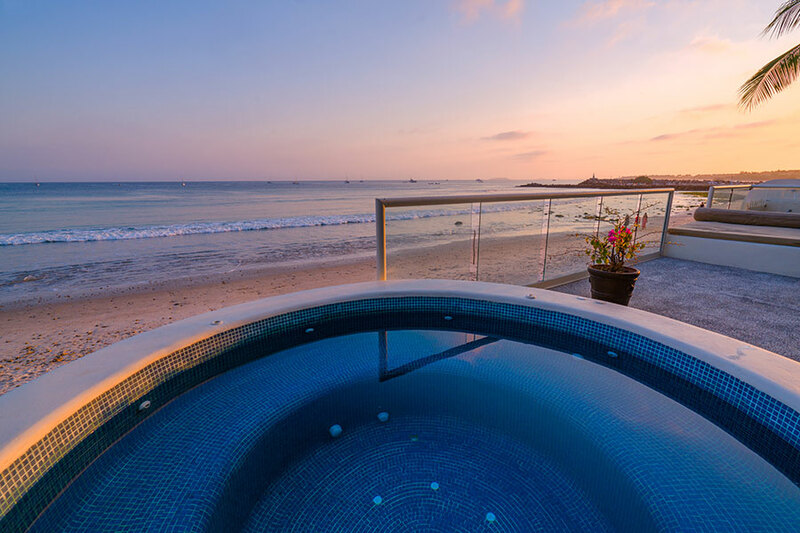 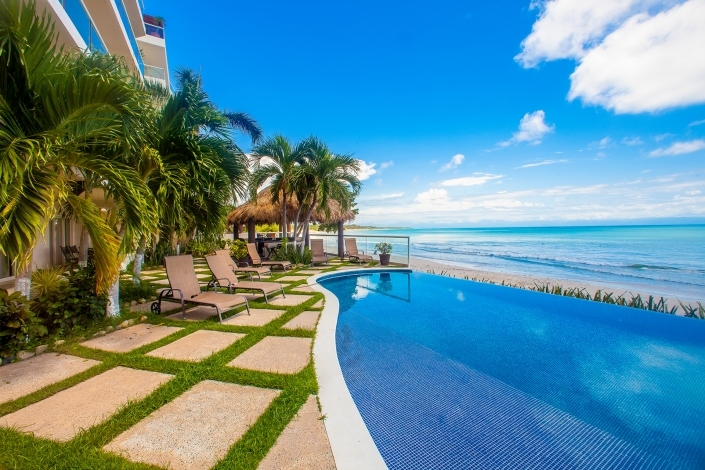 This beautifully appointed second floor 2 bedroom, 2 bathroom beachfront condo is on a beautiful family friendly beach within walking distance to the picturesque village of Punta de Mita. 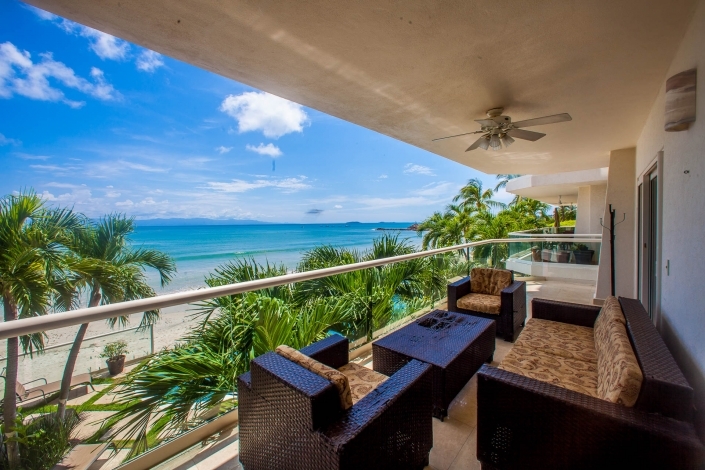 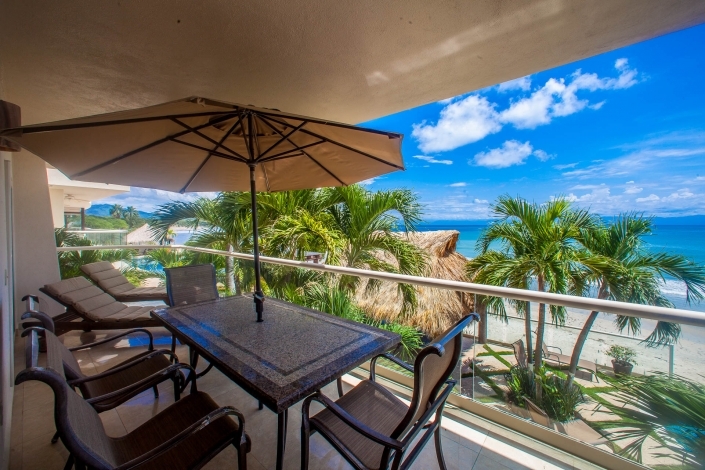 One of the best values in the area, this beach condo is a great investment and rental property. 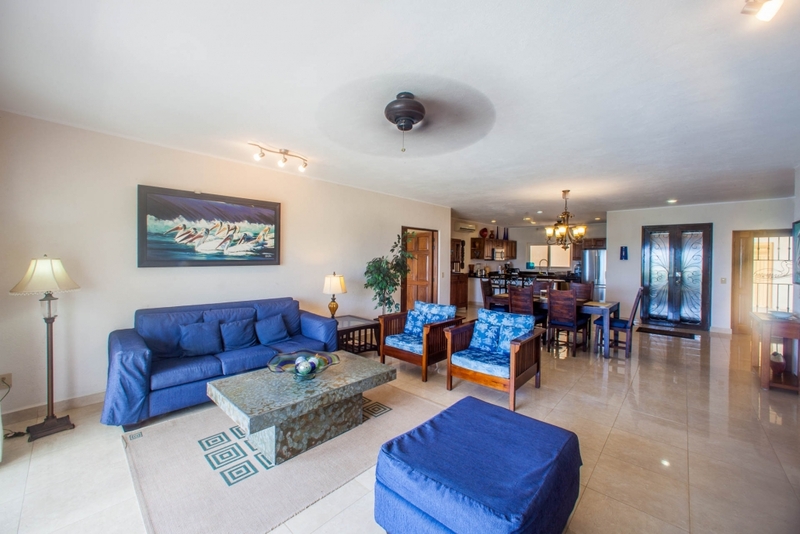 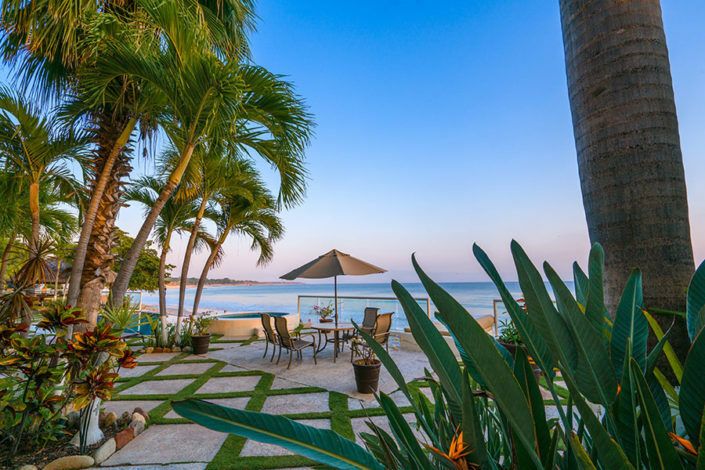 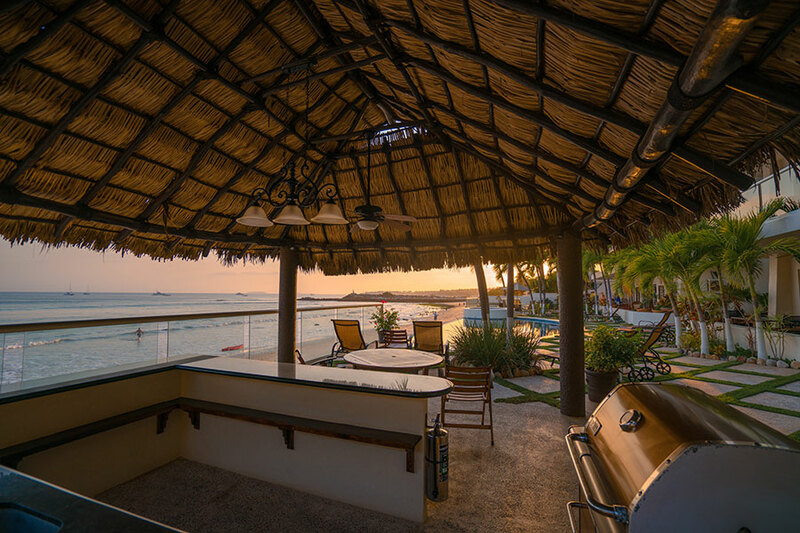 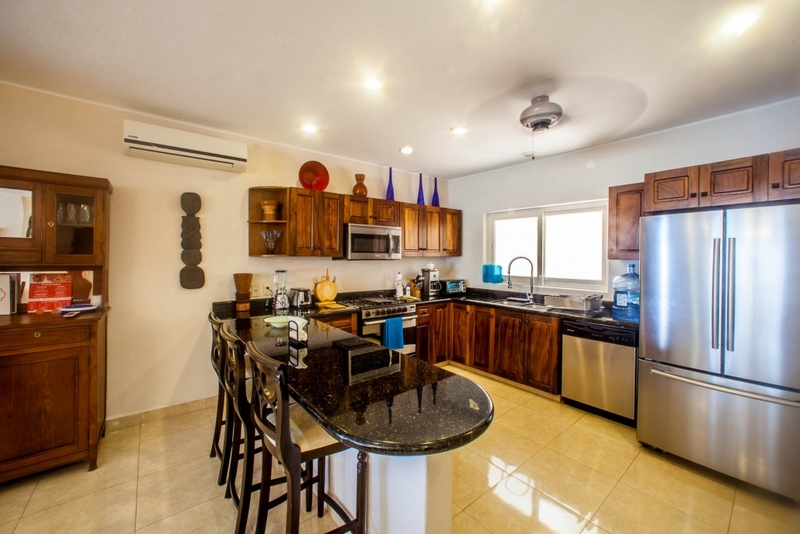 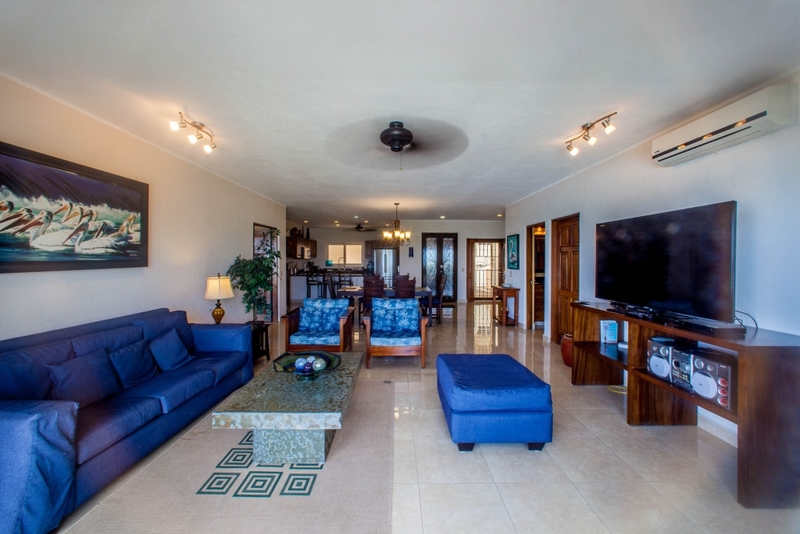 This condominium is beautifully decorated and is steps from the ocean, clean and spacious, with stainless steel appliance and travertine tile throughout. 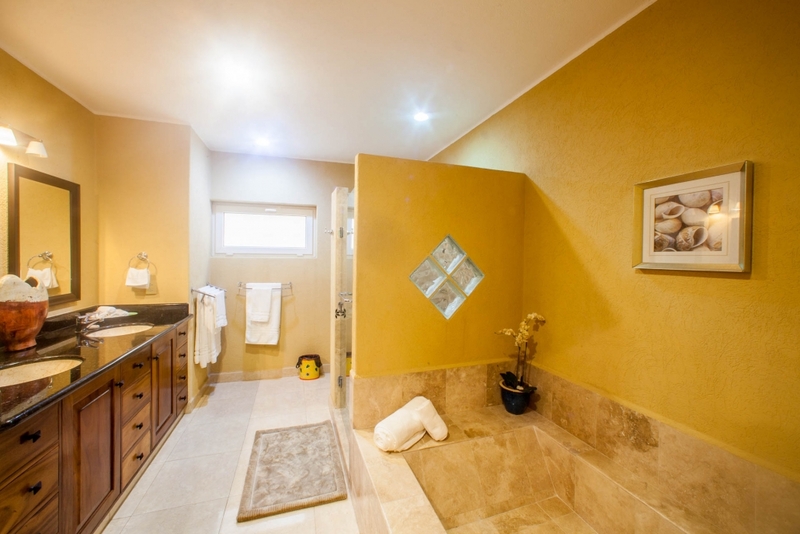 Garage parking space and a large, convenient storage bodega. 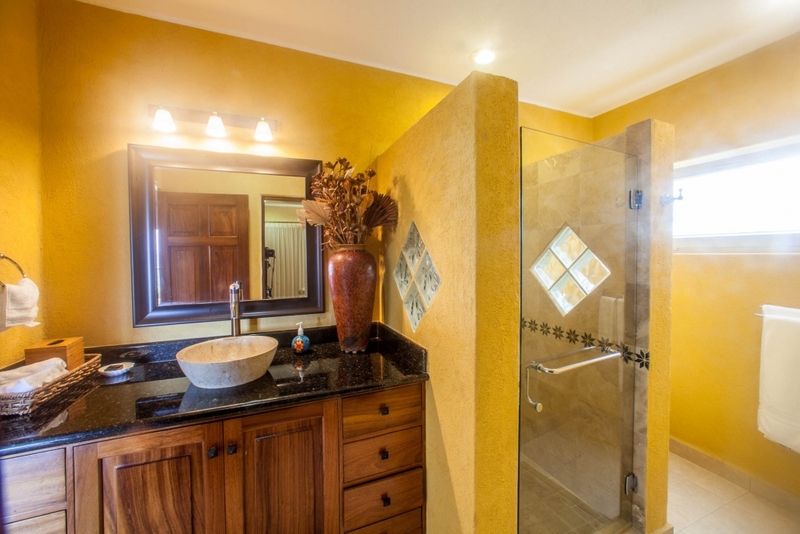 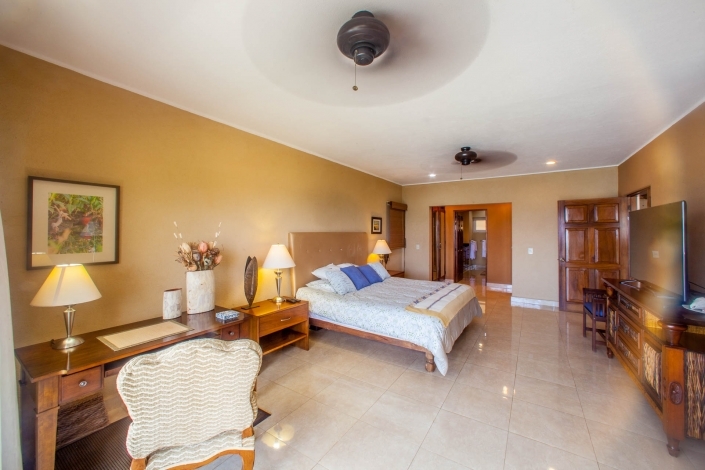 The master bedroom has a king-size bed and an on-suite open bathroom with a double headed shower. The second bedroom has a queen-size bed with an adjoining bathroom. There is also a fully operational laundry room, and plenty of colorful beach towels for your convenience. 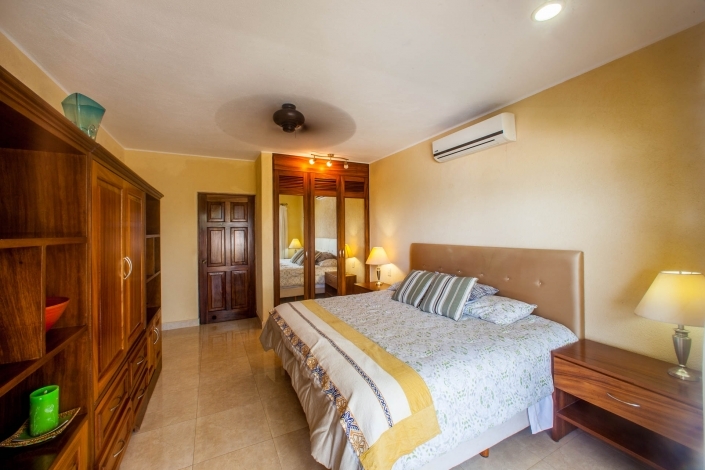 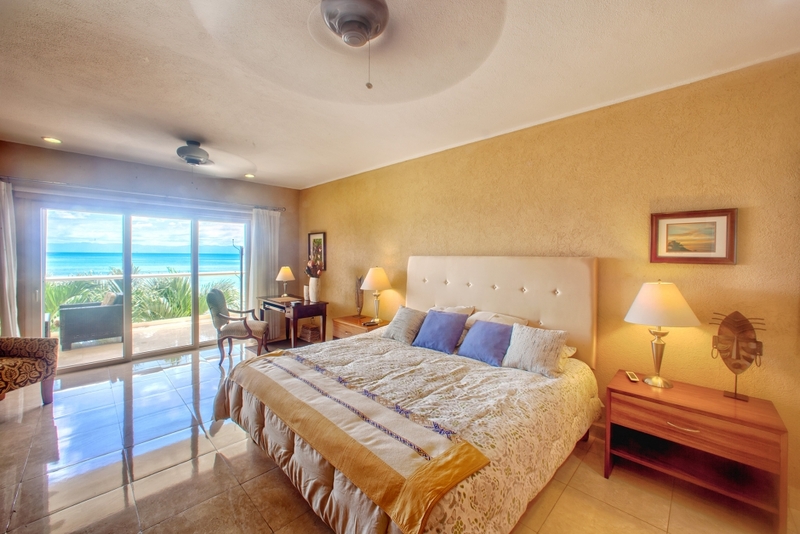 The master bedroom has a king size bed and an on-suite open bathroom with a bathroom.